We recently had en encounter with a family who had a problem with their dog who was pulling and gave them a hard time on walks. They had almost given up hope since the only person in the family that could take the family dog out for a walk was the father. 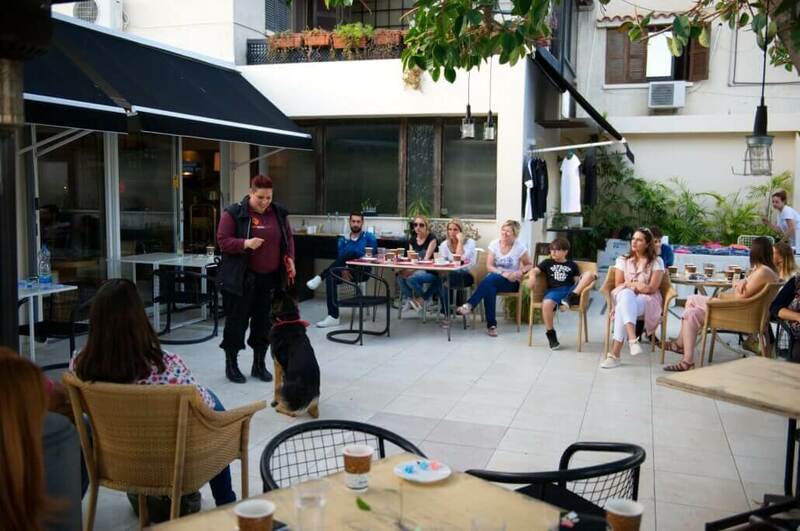 Our dog trainer came to their home in Paphos Cyprus, made an assessment and taught the family how to deal with pulling behaviour and daily communication in general. It didn’t take long until wife and kid was training and walking the dog without major issues. It’s remarkable how much a few rules and good treats can change the lives of a family struggling to train their dog. Under the right guidance anything is possible. We left the family hopeful and happy to be able to share the experience of walking their furry family member. 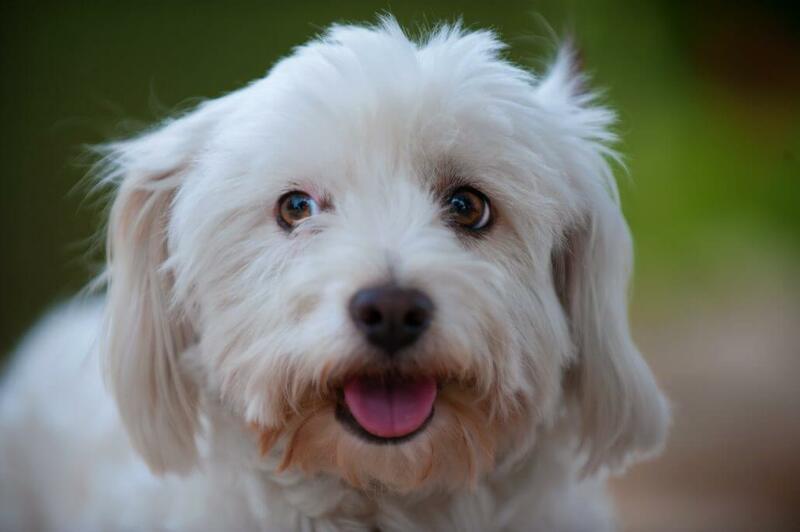 PetSpot’s methods are truly made easy for pet dog owners and we are always so happy when we can help families join the exciting world of dog training. Don’t hesitate to contact us for more information. We come to Paphos, Polis and Limassol in Cyprus and help you with dog training and behaviour issues. Last week we spent some time with the German Shepherds again in Limassol at GSDRC. There are many Shepherds there in need of training and stimulation. We try to focus on proper leash walking since it’s an important part of their life in a new home and we need to teach them how to walk properly when walked by their new owners. PetSpot’s dog trainer worked with a sweet boy named Rex. Rex had no prior leash manners and was totally running the show the second he left the kennel. We started by making sure we were walking along a wall where he had no other choice but to walk either ahead, behind or right next to us. We then added a lure in the form of a treat to get him walking nicely by our leg. Slowly we introduced switching directions and before we finished the session we could let go of the leash and he’d stay right next to us. Training German Shepherds is truly amazing, fun & rewarding. 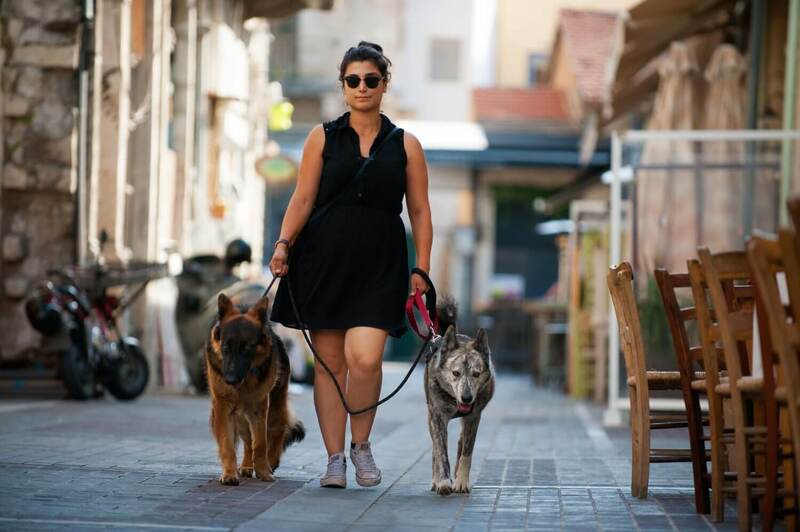 PetSpot offers dog training services in Paphos, Polis and Limassol and we aim to help as many GSD find a home by offering our services and help to German Shepherd Rescue Center in Limassol. Last week we trained a very excited little 6 month mix breed puppy in Polis. 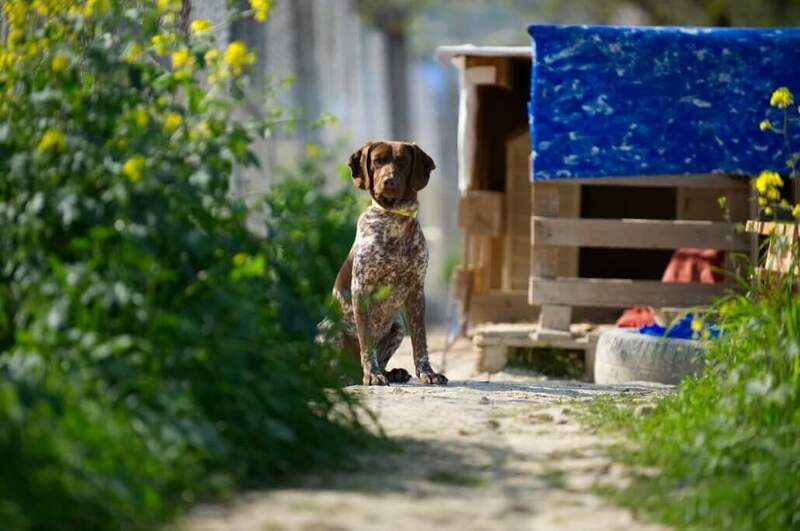 His owners were in despair because he is a dog with a very high level of energy. That makes him become hyperactive and easily overexcited and it was too much for them to handle and they were afraid the problem couldn’t be controlled. So they did the right thing and hired a dog trainer to come to Polis and help them out. Something that is important to think about when dealing with high energy dogs is to control your own mood and level of energy. If you are trying to calm down a dog, your state of mind has to be the complete opposite. Be calm, talk in a low voice, don’t do any sudden movements and get your puppy doing a lot of “sit-waits” and “stays” before you move on with other commands and dog training. PetSpot’s trainers teach you how to set the rules of the house, we don’t tell you whether or not your dog is allowed on the sofa or not. Instead we focus on teaching you as a dog owner (in Polis, Paphos or Limassol) how you teach your dog the rules you decide for them. Another important aspect that is a key part to any sustainable training method is to be consistent in everything you do with your dog and when training them. Our goal with this specific case is to train and prepare this very highly motivated puppy with basic obedience and move on to our advanced program. His owners will have a completely different life when we have completed the program we have for their four legged family member. Remember, no dog is a lost case! We all love an enthusiastic dog, it’s certainly great for dog training but sometimes a bit painful. We’re talking about dogs who accidentally bite your fingers off when taking a treat. Believe us when we say it can get ugly if a person or a child without experience tries to give a treat to a dog who doesn’t know the concept of taking treats gently. Most dogs with this behaviour is generally the result of people giving the treats the wrong way from the beginning and you want to relieve much of the conflict-induced frustration that occurs when you want to reinforce your dog’s good behavior but also want your fingers to remain intact and connected to your body. So what we want to do is get the dog in the habit of being gentle when it comes to treats and food, teaching them that lunging and grabbing won’t get them far. There are several ways to teach your dog how to be more gentle and PetSpots methods can be applied to all of them. Many people instinctively pull their hand away when they notice a dog is really going for the treat, this makes them want to follow the hand and will snap at it. What they basically do is get the dog more excited and that makes it a game for the dog.